After being buffeted by fierce competition in recent years, the U.S. textile and apparel industry is positioning itself for success in the 21st century. 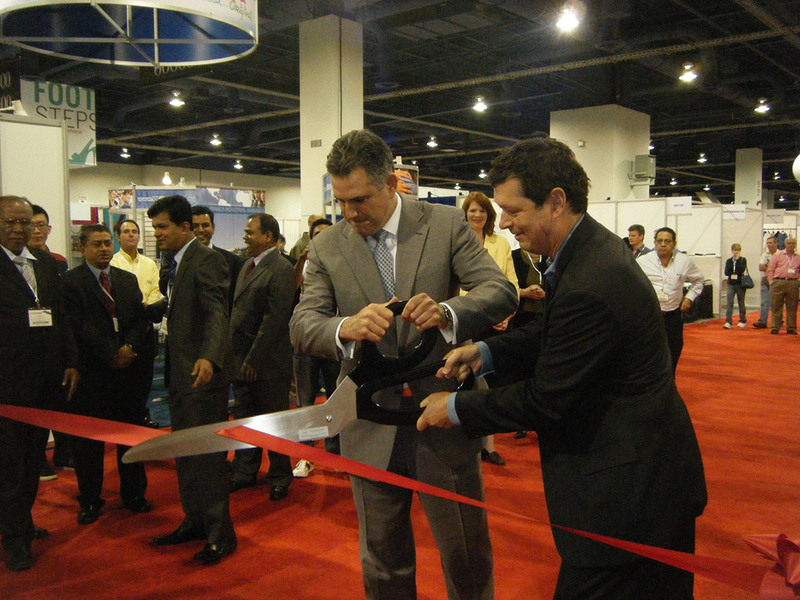 Ample evidence could be found at a recent trade show in Las Vegas. by Greg Bell, a writer in the International Trade Administration’s Office of Public Affairs. Summer days in Nevada can be hot. But they are nothing compared to the economic activity that was recently heating up in Las Vegas on August 21–24, 2011, at the fashion industry’s preeminent trade event: Sourcing at MAGIC. This twice-yearly show has become a must-go-to event for the industry, bringing together representatives from the world’s top apparel producing countries, who are always in search of new partnerships to address their production needs. This year’s show, however, was unlike any other from the past. For the first time, the U.S. and Western Hemisphere supply chain served as the focus, with a pavilion and summit, “Sourcing in the Americas,” organized by the Department of Commerce. The U.S textile industry along with apparel brands and retailers had the idea of focusing on the supply chain. Although they each represent different and often competing interests, they recognized the mutual benefits of this effort. Brands and retailers want to source closer to home, which results in improved quality and increased speed to market. And, naturally, the textile industry wants to increase its exports of yarn, fabric, and other products along the supply chain. It is a win–win for all parties, which is why the Obama administration was so eager to support the initiative. The International Trade Administration’s Office of Textiles and Apparel (OTEXA) and the Office of the U.S. Trade Representative (USTR) partnered with the organizers of MAGIC to hold the “Sourcing in the Americas” summit and pavilion. During a three-day period, exhibitors showcased their quality products by highlighting the incredible new opportunities in the region. Efforts such as the pavilion and summit will lead to job creation. Despite all the challenges facing U.S. textile and apparel companies, the industry continues to play an important role in the economy. In 2010, it generated more than $20 billion in exports, which supported nearly 600,000 workers and made the industry one of the largest manufacturing employers in the United States. Such job creation is especially important for rural areas, such as those located in the Southeast. The International Trade Administration’s Office of Textiles and Apparel (OTEXA) administers programs and strategies to improve domestic and international competitiveness of the U.S. textiles, apparel, footwear, and travel goods industries. For U.S. manufacturers, suppliers, or exporters, OTEXA can help plan market entry through a variety of services, such as trade promotion events, online resources and personalized counseling, market research, and trade missions and shows. It also works with industry representatives to identify and resolve trade barriers in foreign markets and unfair trade practices. To learn more about the services that OTEXA makes available to U.S. exporters, visit its Web site at http://otexa.ita.doc.gov. The Western Hemisphere is critical in promoting such U.S. exports. It accounts for roughly two-thirds of all U.S. textile and apparel exports—the largest of any market. In 2010, the United States exported nearly $13 billion worth of textiles and apparel to the region, which is an increase of nearly 20 percent over 2009. Organizers of MAGIC highlighted the value of countries in the Western Hemisphere and the United States as trading partners and brought together regional businesses and retailers to showcase what each offers. More than 90 countries from the region were represented, including Colombia, Costa Rica, the Dominican Republic, El Salvador, Guatemala, Haiti, Honduras, Mexico, Nicaragua, and Peru. Preliminary feedback from participants indicated that the meetings held because of the show have led to incredible progress. Haiti was a prominent presence at the show. With the help of USTR and funding from the U.S. Agency for International Development, several large Haitian apparel manufacturers attended MAGIC. The manufacturers reported interest from nearly 200 potential customers, including representatives from some of the world’s most prominent clothing companies, who are looking for sourcing alternatives because of rising costs in Asia. Contacts and sales generated from the show will make significant contributions to rebuilding Haiti, which was devastated by the 2010 earthquake. 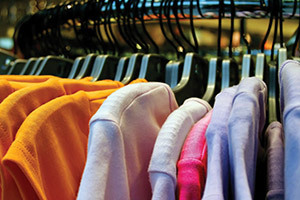 The apparel sector accounts for 90 percent of Haiti’s exports to the United States, and growth of this industry is critical to the recovery and expansion of the Haitian economy. Increased textile exports will lead to employment growth and new hope for many of its people.